Dan Spika, SIOR, is Executive Vice President and Principal of the Office and Industrial Division for Henry S. Miller Brokerage. Mr. Spika specializes in sales and leasing of office and industrial properties in the DFW Metroplex. Depending on a client’s needs, he is adept at representing buyers or sellers. Dan is also proficient in investment sales of income properties, and he has extensive experience in land sales as well. Mr. Spika represents both local and national clients in relocations. He is currently looking for land that is priced right for industrial development. 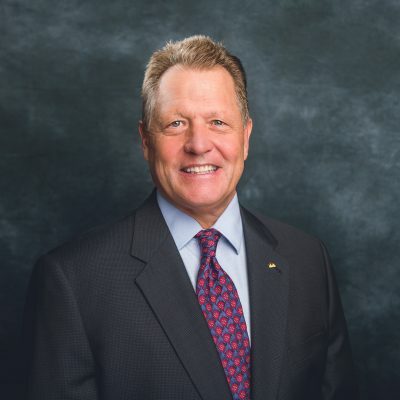 Mr. Spika began his real estate career in 1984 as a land broker, while simultaneously earning his bachelor’s in business administration at the University of North Texas and working in customer service for Delta Air Lines. He received his Texas Real Estate Broker license in 1989, and has been a Top Ten Producer of all brokers at Henry S. Miller since 1995. Most recently, he was the Top Producer for 2017. Mr. Spika has also been on the Chairman’s Council since 1996. Dan was raised in Denton, Texas and is proud to be “a local” who values and maintains long-standing friendships. He and his wife, Jacqueline, have a son and daughter. In his spare time, Dan can usually be found in the gym, on a golf course or reading a good book.